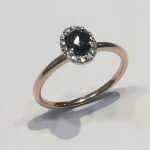 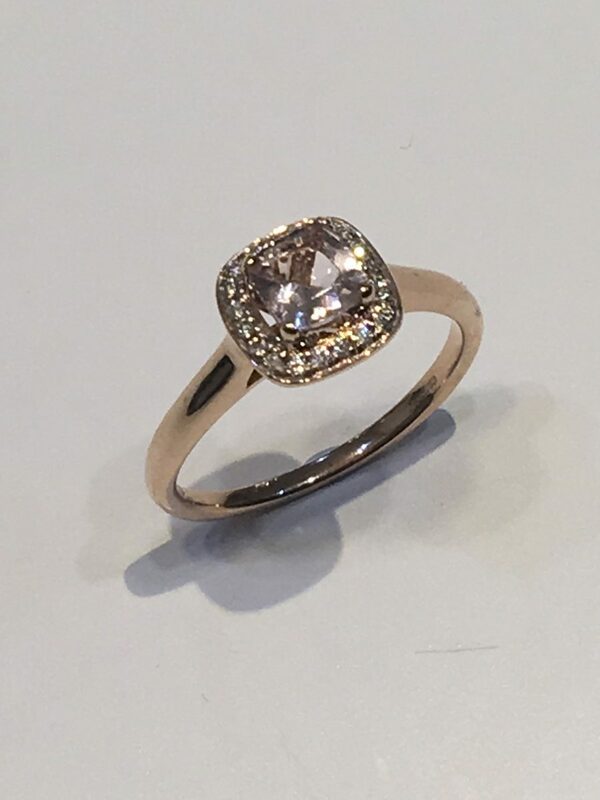 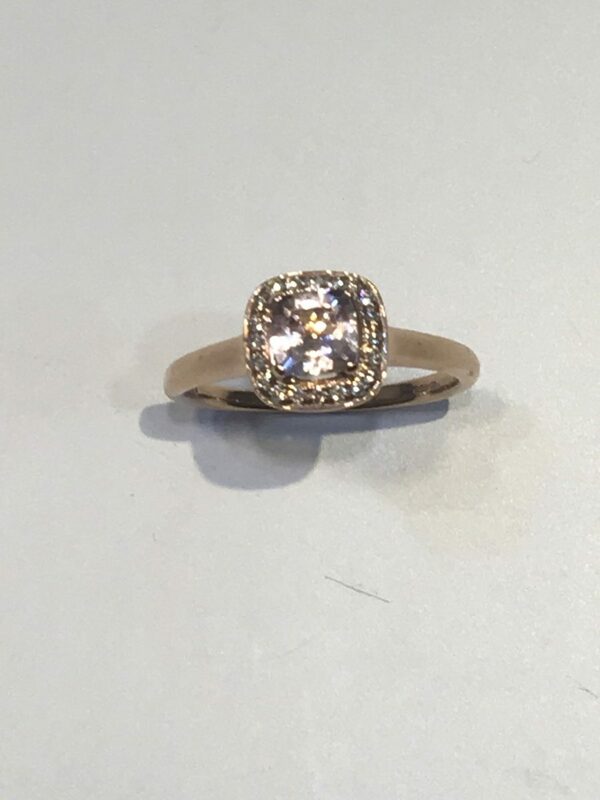 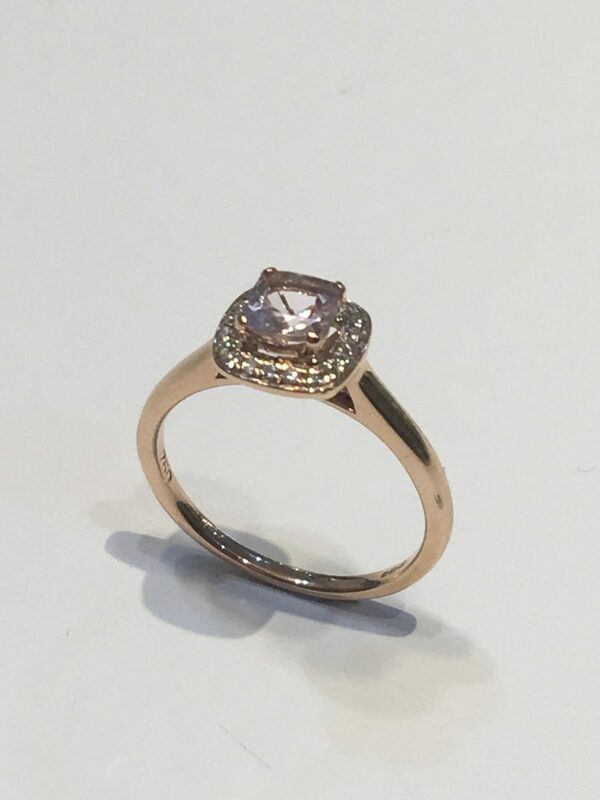 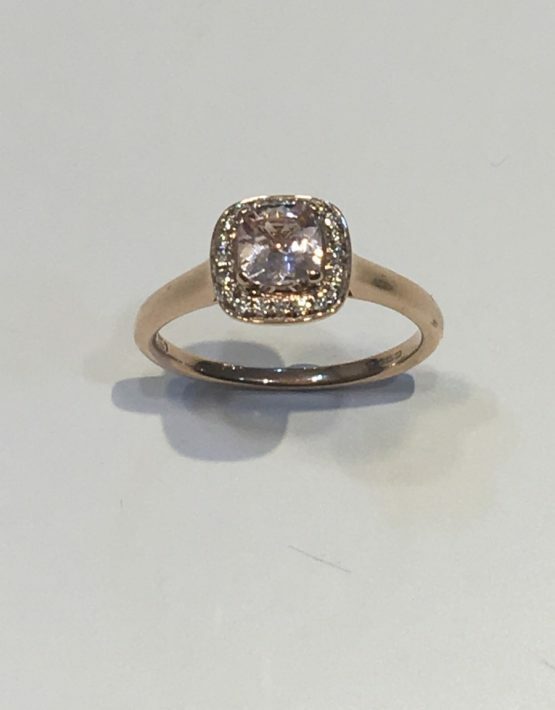 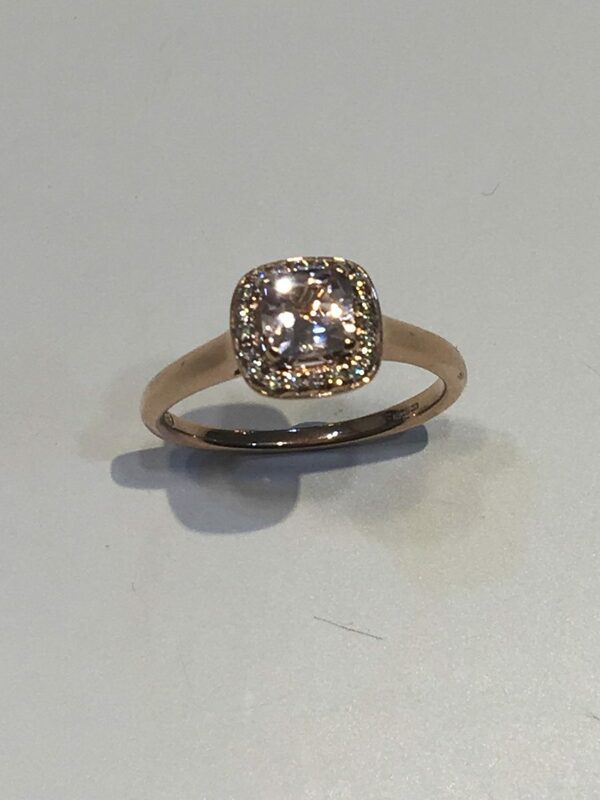 This sumptuous 18ct Rose Gold Ring has a decadent cushion cut Morganite centre stone of just over half a carat in weight 0.52ct with a beautiful Diamond halo 0.11ct to really set off the sparkle. 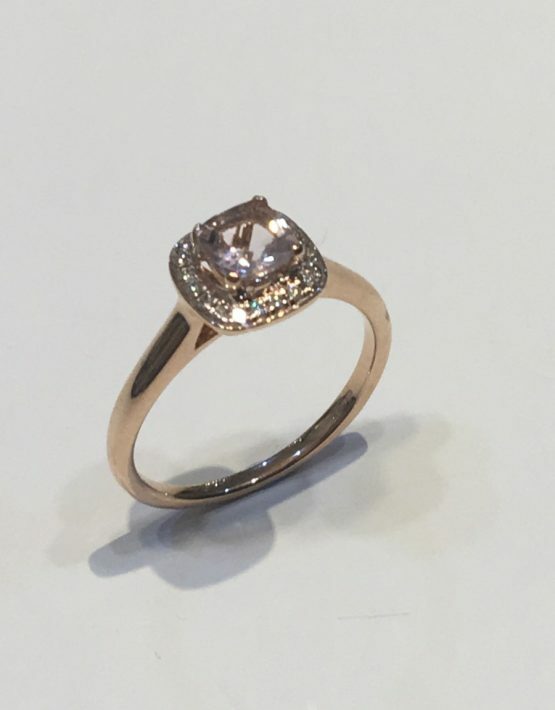 The Morganite has an elegant subtle pink champagne hue which really matches the warmth of the 18ct Rose Gold. 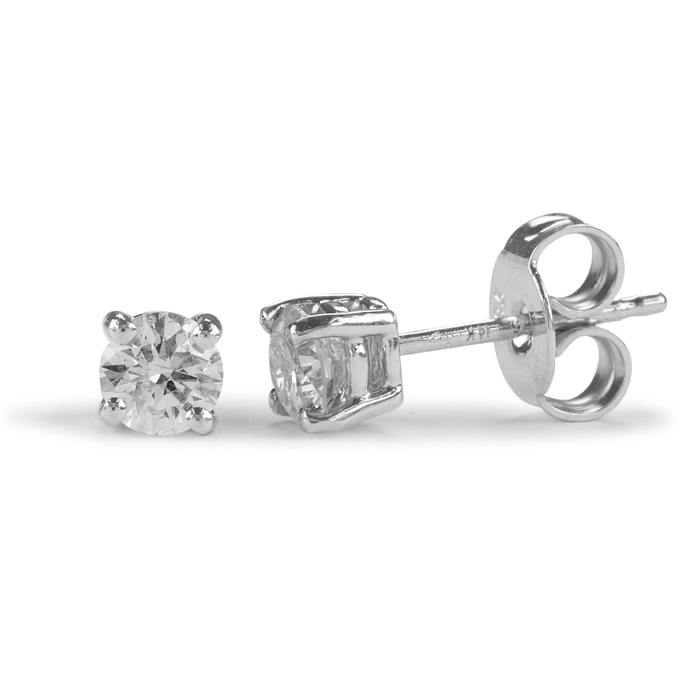 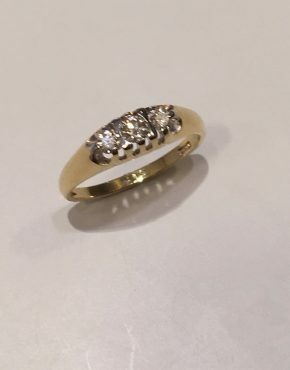 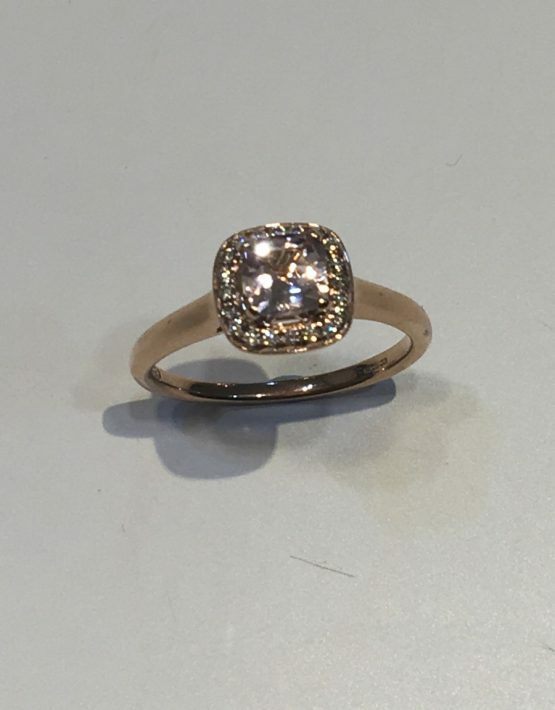 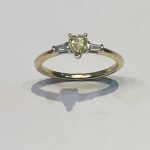 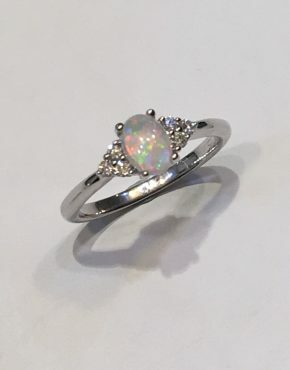 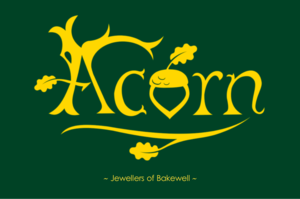 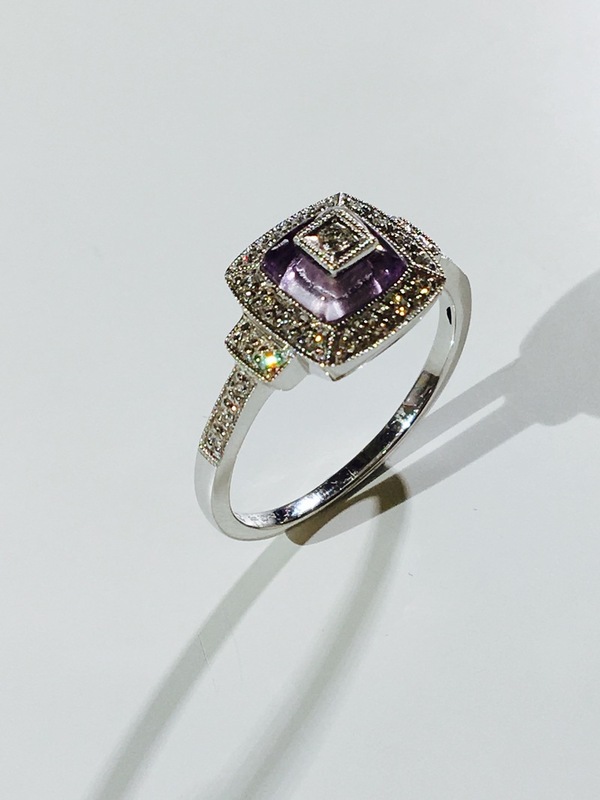 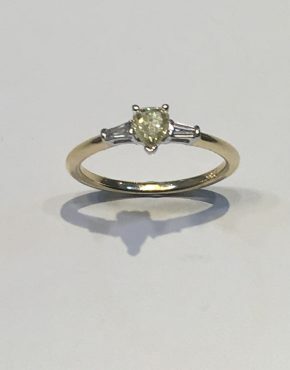 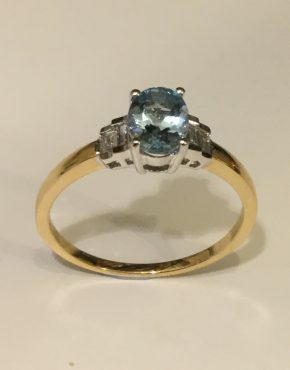 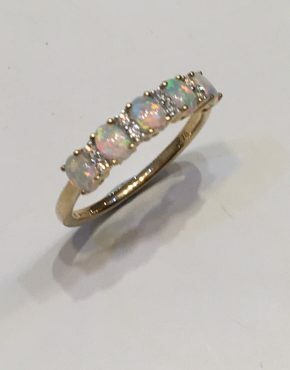 This is a beautiful ring for a really special occasion to wear, love and cherish….